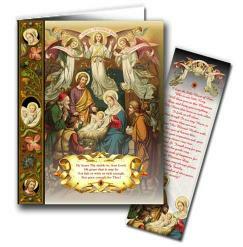 12 full-color , high-gloss 5 x 7 cards with gold foil envelopes Inside: Wishing you the joy of Christ's birth, the comfort of His love, and the blessing of His grace. 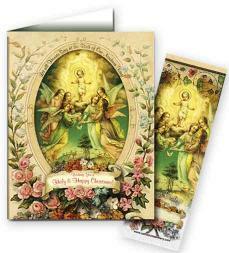 This set of highly detailed Christmas cards feature 12 of the traditional "O" Antiphons. 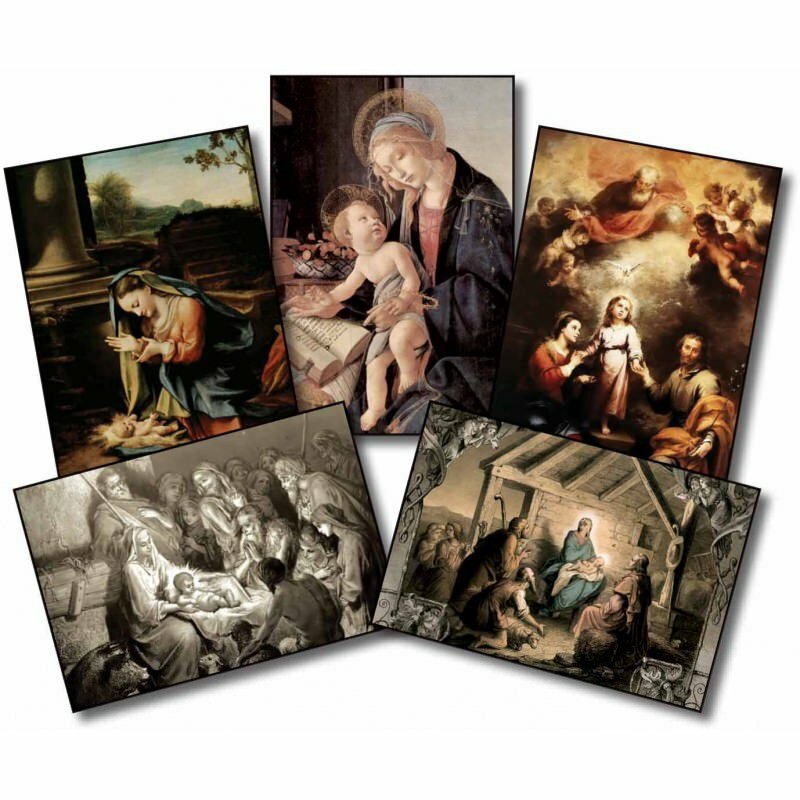 Each set contains eight cards (three of each design). The cards are printed in black ink on heavy white cardstock. 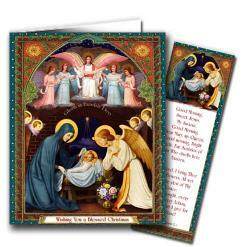 A detailed description and explanation of the symbolism used is provided on the reverse side of each card. Ages 10 and up. Please be patient while the 50 images that are available on this CD-ROM load on this page for you to view. Add this CD to your cart by scrolling to the bottom of the page to find the Add-to-Cart button. Please be patient while the 50+ images that are available on this CD-ROM load on this page for you to view. Add this CD to your cart by scrolling to the bottom of the page to find the Add-to-Cart button. Please note: there may be a few duplicates. Notecard with attached bookmark. Front reads: My heart Thy stable is, dear Lord. Oh grant that it may be, not fair or wide or rich enough, but poor enough for Thee! 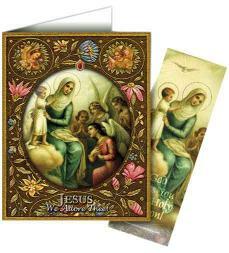 Back of card and bookmark also contain prayers. Notecard with attached bookmark. Encourage all you know to consider just whose Birthday we are celebrating, and to give Him a gift... a gift of self! 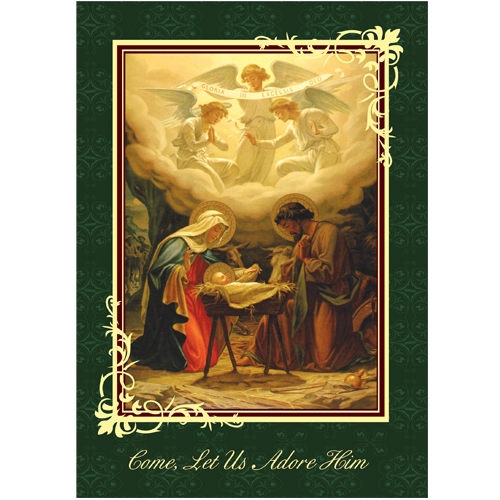 Back of card reads: A Present of Presence What gift can we give to Jesus on His Birthday? How about making Him the Gift of Yourself? 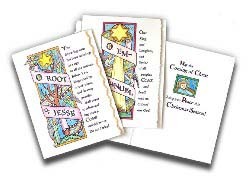 Nothing pleases Our Lord more than you opening your heart to Him in Holy Communion, so He can rest within. . . .
Notecard with attached bookmark. 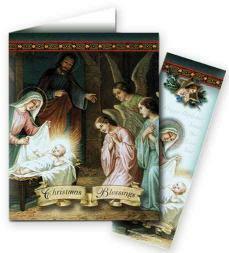 Back of card has beautiful prayer to the Infant Jesus. Notecard with attached bookmark. 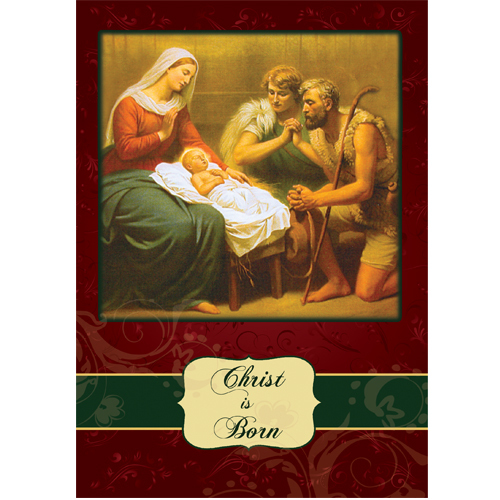 Back of card reads: Behold God incarnate! This mystery is so exalted and so profound that we understand next to nothing about it... Someday in heaven above, we will grasp it fully. 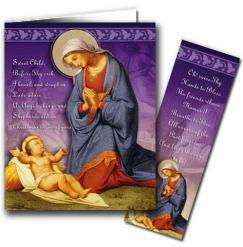 There we will celebrate with an incomparable delight this great feast of Christmas, of the Incarnation. There we will see clearly all that took place in this mystery. . . .